important secrets for healthy and gorgeous hair which are detailed below. The important factor that affect hair growth is mostly neglected by everyone. This is hormonal changes and diet balance. All those having healthy hair or not must put some effort to make hair look good. A balanced diet especially in natural changes like hormonal change keeps hair thick and long. Bad habits (smoking or alcohol etc.) compromises hair health. Stress also causes hair problems ultimately hair loss. Solution to this is yoga and regular exercise that can keep stress low and lead to sound body with healthy hair. Never comb wet hair. Wait for dry hair and start combing from down to up. If you use hair dryer after wash, skip any other hair styling device. According to experts, one hair styling product should be used once a day and only “occasionally’. Don’t use them on regular basis as it damages the quality of hair. Over washing should be avoided. This washes away the natural oil from hair and makes it look dry. Experts suggest hair washing three times a week to avoid hair breakage and dry look. Frequent trims usually once a month prevents ends from drying out. Too much hair styling can lead to split ends after damaging outer protective layer of hair. Use of good quality conditioner with protein and regular trimming can fix this problem. Don’t waste your money on expensive hair products, thinking that it will make your hair longer and thicker. All you have to do is use the shampoo and conditioner according to your hair type and focus on your health. 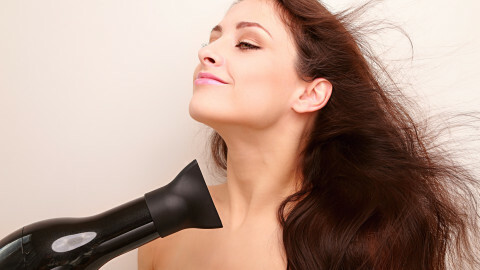 5 Hair styling aids to tame your mane. How to use hair styling tools?